The Gröbovka garden is defined by the street called U Havlíčkových sadů, Rybalkova Street and the Botič Stream. It was established as an original part of the newly built estate of a factory owner Moritz Gröbe. In the slope between Botič and Vinohrady, there used to be two estates with vineyards, Dolní (Lower) and Horní (Upper) Landhauska. In 1870, both the estates and the land plots were purchased by en entrepreneur Moritz Gröbe. He had the Upper Landhauska demolished, and built his summer residence there, creating a beautiful English park around it. The two-storied villa in a style of a spectacular Italian Renaissance dwelling was designed by Antonín Barvitius, the actual construction was conducted by a builder František Havel in 1871 - 88. The interiors were designed by Josef Schulz. 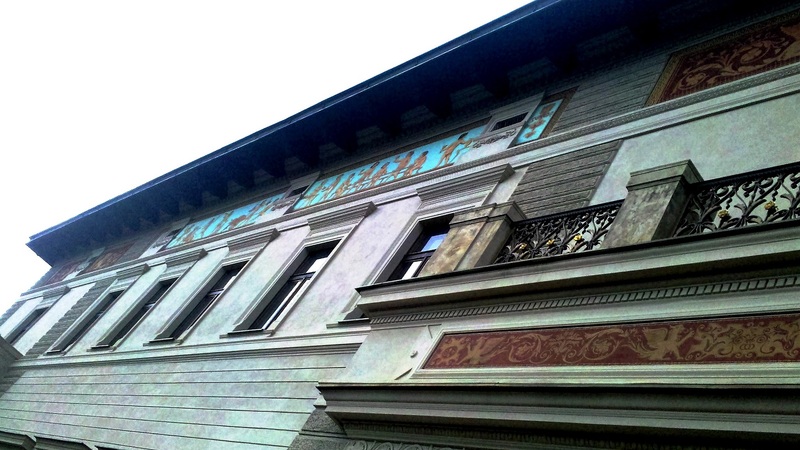 The facade of the house, just under the roof, is decorated by a band of frescoes with children’s motives by painter Kugler. The sculptural decorations in the interior are the work of sculptor Detem. 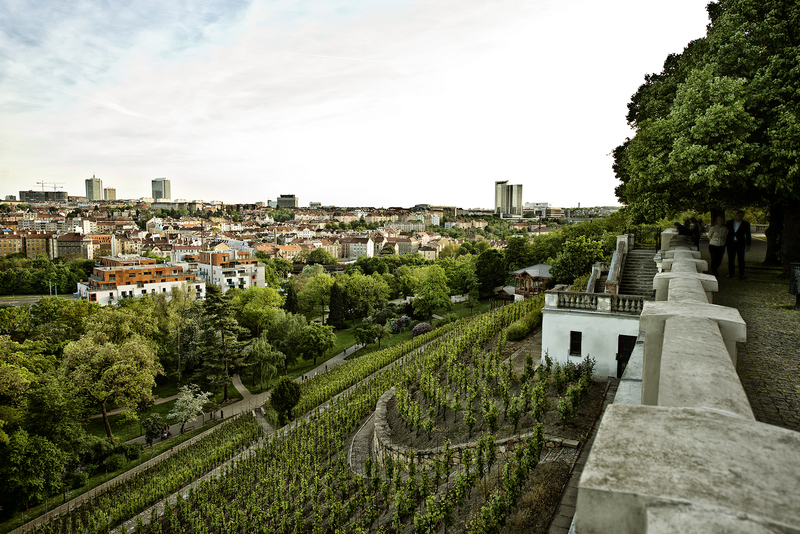 There is a huge terrace on the villa’s ground floor, connected with the recently renewed St. Clara’s Vineyard in the slope below the house via a two-flight staircase. There is a splendid view of the town’s Southern part from the ground-floor terrace. After Gröbe died, his heirs rented the villa. The granddaughter of Emperor Franz Joseph I found accommodation here with her husband, prince Windischgrätz. When the prince was ordered to Vienna, they left the villa. In 1905, everything was purchased by the Vinohrady district. For a time, the house was used by the University of Forestry, and in 1937, the City of Prague established here a facility named Baxa’s habitat for children’s tours for temporary accommodation for the youth visiting Prague. It was named after chief magistrate Baxa. During occupation, the villa was annexed by the German Nazi organization for youth Hitlerjugend, and on the 14th February 1945 it was badly damaged, together with a part of the garden, by bombing and subsequent fire. After the war, it was re-opened in 1953 and it was used as a House of pioneers and youth. At that time, there were some insensitive interventions, both constructional and in decorations. At present, the objects are maintained by the Prague 2 municipality. Reconstruction was completed in 2007. The residential house at Lower Landhauska was preserved, but modified in new-Renaissance style. The formation of the surrounding premises was also inspired by Italian Renaissance - the terrace and staircase leading to the vineyard, grotta, theatron with a fountain and water cascade, a pond and waterworks, pavilions and statues by Bohuslav Schnirch. The grotta and the rock-gardens were designed by Josef Vorlíček. Moritz Gröbe died in 1891 and it was problematic and costly for his heirs to keep the estate running. 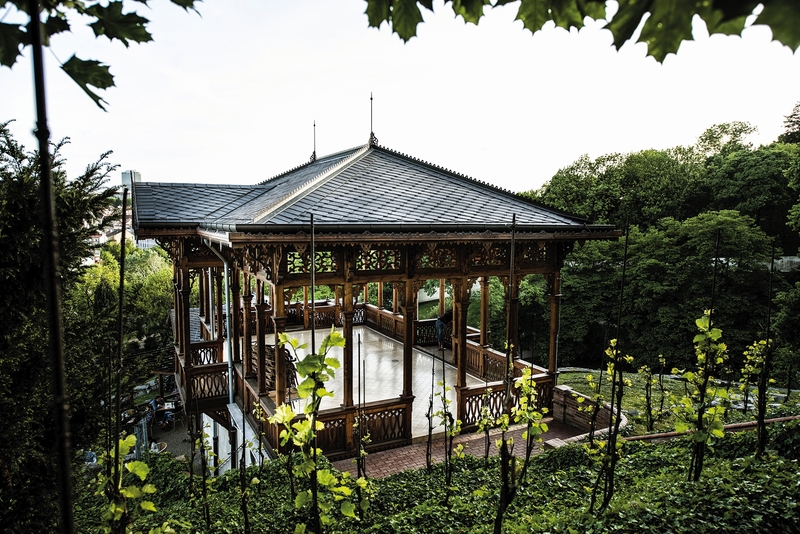 After the death of Gröbe’s wife, they rented it, and in 1905 they sold it to the town of Královské Vinohrady, which made some necessary modifications and on the 16th May 1906 opened it for public under the name of Havlíček’s Park. The natural diversity of the place was used in establishing the garden. Park modifications were from the beginning realized in the spirit of year-round attractive place with picturesque corners and nicely perfected terrain. Until the World War II, the garden was well kept and locked in the evenings. 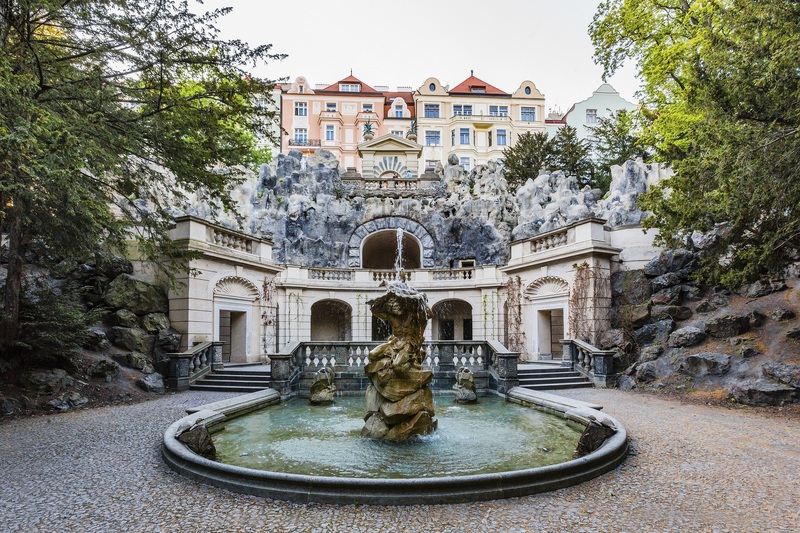 The bombing of Prague on the 14th February 1945 damaged the villa, the entrance gate, the vivarium (small zoo), and the garden became freely accessible without limitations. After clearing war traces, the historical value of the park was gradually destroyed, not only due to the lack of finances for maintenance, but namely due to vandalism. In 1964, the area was declared an immovable cultural monument. In the garden, there is a very diversified assortment of woody plants - up to 120 kinds (ginkgo trees, European ashes, nettle trees, European beeches, balsam poplars, Goldenrain trees, and many others). The vineyard was established in place of a former terrain shift, to which 60,000 horse carriages of earth were brought during the construction of the Vinohrady tunnel. In the era between the wars, it was called the Chief Magistrate’s. It was used for growing wines such as Frankovka, Burgundy wine, St. Laurent wine, Portugal, Riesling, Traminer and Silvaner. At the end of the war, the vineyard was damaged and it dilapidated until 1993. In this year, the Prague 2 municipality became its owner and since 1997, the Vinohrady vintage celebration has been organized here every year. The vineyard produces its own wine, which was awarded a certificate from an expert committee. Among the varieties grown in the vineyard, there is also Müller - Thurgau, Pinot gris and Pinot noir. The vineyard extends on 1.7 ha and annual wine production amounts to 4,000 litres.